Hyun-Ki Jung (left) in the School of Electrical and Computer Engineering and Myoung Jun Lee (right) in the School of Energy and Chemical Engineering at UNIST. Treating patients with incurable diseases through HSCs donation. 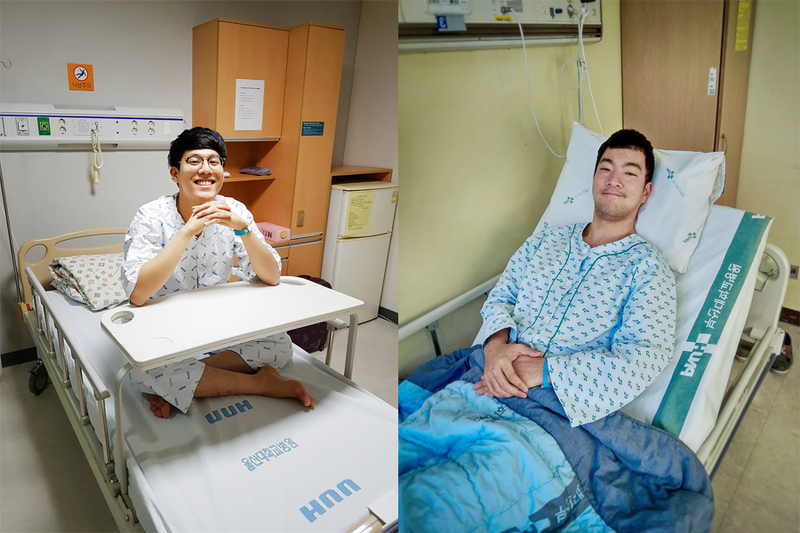 On December 20, UNIST has announced that two of its students have donated their hematopoietic stem cells (HSCs) to help treat patients with incurable diseases. These donors are Myoung Jun Lee in the School of Energy and Chemical Engineering and Hyun-Ki Jung in the School of Electrical and Computer Engineering. They were treated for three consecutive days in nearby hospitals for the transplantation of healthy HSCs. Myoung Jun Lee (left) in the School of Energy and Chemical Engineering and Hyun-Ki Jung (right) in the School of Electrical and Computer Engineering. Hematopoietic stem cells are the stem cells that make up blood constituents and play a key role in the treatment of hematologic cancer patients, such as leukemia. To donate HSCs, the genotype of the patient and the donor’s histocompatibility antigen (HLA) must match. As of today, only 0.5% of the national population was registered for HSC donation and the possibility of finding matched HSC doners is very low. About three thousand patients are suffering while holding onto a faint hope that an ideal donor will appear. This is why the average number of HSCs transplantation only amounts to 500 cases per year. The UNIST Rowing Club, posing for a group photo after winning the first place at the 1st UNIST-POSTECH Friendly Rowing Match on October 28, 2017.